Agoda.com promotion code 2019 - 10% discount on hotel rooms! Return flights from Europe to amazing Madagascar from €483 or £471! 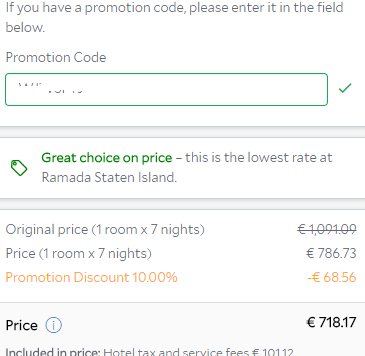 Agoda.com promotion code 2019 – 10% discount on hotel rooms! Another hotel room booking site that is offering easy way to save is well known Agoda.com. They have now released brand new 10% promotion code in 2019 to further discount your accommodation. They are granting 10% discount on selected hotel rooms. 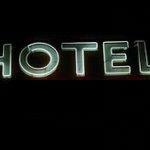 We have personally tested it and it seems that the discount works on most of hotel rooms in scope of this agent. How to apply Agoda.com promotional code 2019.: Firstly note that the Agoda vouher is available on selected hotel rooms. When booking your accommodation just proceed with your selected hotel. Once you get to scond step (“Enter booking details”) you will find separate box “Promotion code” on the side right above price summary. Note that if you can not see promo code box the hotel does not allow to use this voucher. Enter below Agoda promotion code and your accommodation will be instantly discounted. This exclusive Agoda.com promotion code is valid for bookings made till 31st of January 2019. You can easily save 10% just by using this deal for stays till end of August 2019. However it definitely works through whole year 2019. This accommodation booking agent is offering over 125.000 hotels worldwide and owned by the subsidiary of The Priceline Group. Booking sample of successfully applies Agoda.com promotion code. In this case you would stay in New York. You would check in on 28th June. You would stay one week and check out on 7th of July 2019. You would easily save over €68 just by using this Agoda voucher code 2018. Enjoy your discounted accommodation with Agoda.com!